Jack a 24-hour Emergency Plumber in Southampton mention that buying the best Electric shower is not always an easy task especially when it come to the practical side, the looks of the shower and the guarantee of the shower. In most cases buying the best shower can be quite a daunting task not knowing whether a couple of years down the line this will not result in an emergency plumber coming out to the property. 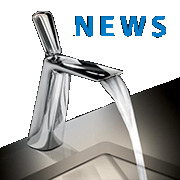 Southampton has been well know for Showers exploding, Showers leaking and come to think of it, showers not lasting there guarantee due either to the quality in the shower or the fact that the shower was not fitted correctly in the first place. Just below are some common shower names, which are all well known to the public and all good plumbing engineers, Domestic or Commercial. Jack an emergency plumber in Southampton explains that the most common electric shower is Mira. The question with Mira and there plumbing issues are, Mira being good quality and does it have enough to have the tag as to what is the best electric shower on the Market today. Jack the Plumber mentions that when advice for a shower then he personally would go for Mira but in all fairness you pay for what you get. If you want an expensive shower that has good looks and is very practical in the performance it gives out then buying a Mira shower is a yes. If you are looking for a basic cheap shower and is also practical then Jack explain buying a basic Triton is always going to be, good money spent. 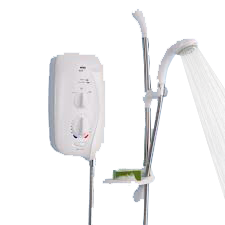 When looking around for the best electric shower to buy you there is no shortage especially if you are an emergency plumber in Southampton. The first place when buying a Triton or a Mira can be the likes of BQ, Homebase, Wicks, Screwfix and then there’s the local supermarket that sell cheaper versions of the shower. If you are looking to buy an expensive shower which some very good advice then we would suggest if you live in Southampton, is to ask you local plumber or a plumbers Merchant. The only shower we find that is in BQ but nowhere else is the Gainsborough. Once you have bought the best electric shower you have been looking for, then you will need a plumber. Why not try Jack the emergency plumber in Southampton as he has over 16 years experience and great customer feed back. Jack will give you 12 months fitting Guarantee as should all Emergency Plumbers should and as long as there is not complication there should be no future plumbing issues. For any Electrical work it is very important that any new installation is signed off with an Electrician to save breaking any law.